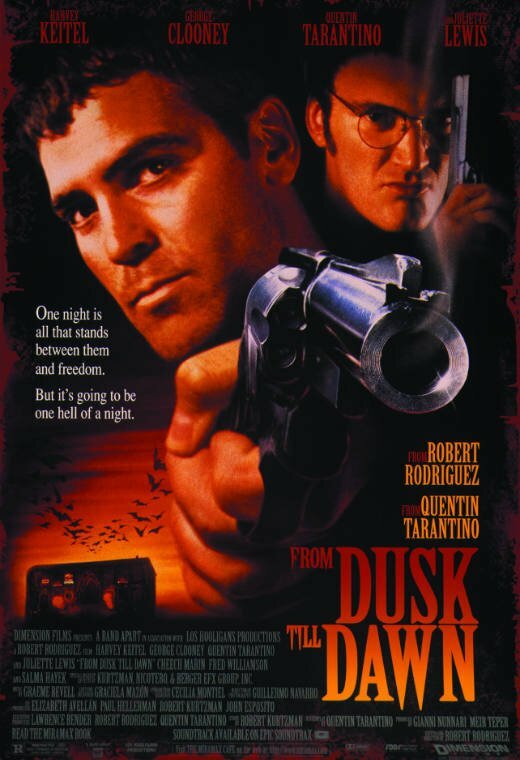 To celebrate the 20th anniversary of From Dusk Till Dawn, audiences will be treated to an exclusive Q&A from Robert Rodriguez and Quentin Tarantino. It’s nonstop thrills when George Clooney and Quentin Tarantino star as the Gecko brothers - two dangerous outlaws on a wild crime spree! After kidnapping a father (Harvey Keitel) and his two kids (including Juliette Lewis), the Geckos head south to a seedy Mexican bar to hide out in safety. But when they face the bar’s truly notorious clientele, they’re forced to team up with their hostages in order to make it out alive! From Robert Rodriguez and Quentin Tarantino, the creators of Grindhouse, From Dusk Till Dawn is explosive action entertainment! See the cult classic back on big screen!